GRIP is pleased to announce their "Next Generation Digital Display" for retailers at the National Hardware Trade Show happening next week in Las Vegas, NV, USA. LAS VEGAS - April 29, 2016 - PRLog -- The digital displaysgrab the consumer's eye and provide callouts to new and unique products. Each display offers customizable digital graphic signs with built in media players, with two 43" multi-sync digital displays. Equally as important, they don't take up useful merchandising space; they simply replace gondola headers. 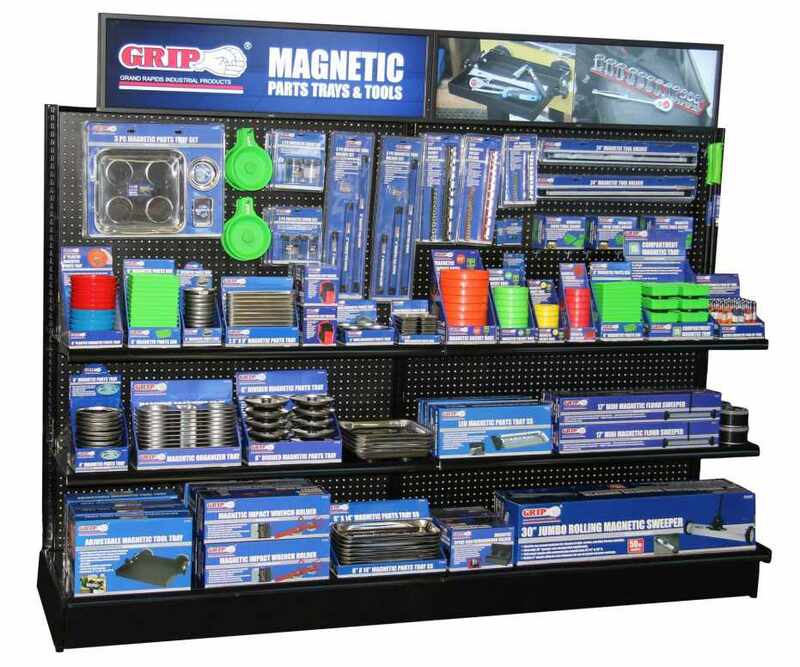 The displays are designed to proudly feature the latest in GRIP line of commercial and consumer products. Their catalog can be viewed below. "Nothing attracts a customer like an engaging display," says GRIP CEO Elias Amash. "Our "next-gen" digital displays were created based on feedback from our partners, and can be custom designed for any retail environment." GRIP invites trade show attendees to meet them at new booth #6643.